Over the Easter weekend the New Zealand Service Rifle Association held its annual national service rifle competition. Coming first in the Classic Bolt Action class was Wellington’s Nicole McKee shooting a Lee-Enfield with a new, prototype Criterion barrel. Nicole’s rifle was built by her husband Duncan, a vintage rifle expert who specializes in accurizing the No. 4 and SMLE actions. Nicole’s .303 British handloads featured Hornady 174gr FMJ Boattail bullets (SKU: 3131) pushed by 47.0 grains of ADI 2209 (H4350). 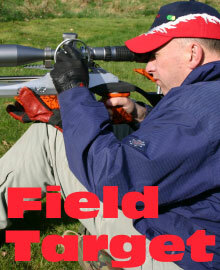 ADI 2209 has become the top go-to powder for .303 British shooters in New Zealand. Share the post "Yank Barrel-Maker Helps Lady Win NZ Vintage Rifle Title"
Elizabeth Marsh — remember the name. This girl’s got game, as the 16-year-old Arkansas native proved at the 2015 National Junior Olympic Championships (NJOSC). In a superb performance, young Elizbeth won BOTH the Air Rifle and Smallbore Events in the Ladies’ Division at NJOSC. Remarkably, her finals score beat the current Junior World Record. Elizabeth first claimed top honors in Air Rifle, then she won the Smallbore event with a dominating performance. She shot a world-class Smallbore Final, besting her nearest opponent by 12.1 points. In fact, her Finals score of 459.3 is 3.5 points better than the current Junior World Record (455.8) set by China’s Ruijiao Pei at last year’s World Championship. 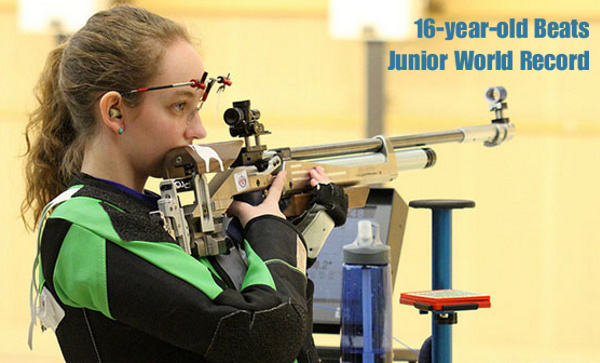 Share the post "16-Year-Old Girl Dominates National Junior Olympics"
Share the post "Ranging Targets in Field Target Competition"